The Lewis Pearsall Exchange Loft is a space for connection. This is a place where community members can connect to each other, connect to the internet, and connect to the Ralph Thornton Community Centre. The Exchange Loft provides the broader community with free access to computers and the internet while offering a welcoming, friendly, and helpful environment to community members. Our volunteers are available to assist people learning how to use common computer applications, such as Microsoft Office, setting up and accessing email accounts, and more. By appointment, volunteers can provide one-on-one tutorials to help people feel comfortable and confident while increasing their skills. The use of the equipment is free. Participants are welcome to drop in any time during operating hours. Access is provided on a first come, first serve basis (computers cannot be reserved). First time participants are asked to fill out a simple form and obtain a connection card. This allow us to track how many people use the space, for how long, and how often they return. Participants not planning to use the facility more than once may sign in as “Guest”. Participants are expected to follow the Ralph Thornton Community Centre’s Code of Conduct and the Conditions of Use. When a waiting list begins for the computers a ½ hour time limit is activated. The person who has been using a computer the longest is then asked to finish their work in 5-10 minutes, to make a computer available. Lewis Pearsall was a volunteer at the Ralph Thornton Community Centre and in the Riverdale community. He saw access to computers as a way for community members to learn new job skills and improve their overall economic status. Mr. Pearsall was vital in obtaining the first public access computers for the Ralph Thornton Community Centre. The Computer Resource Centre was established in 1986, in association with Dundas Public School, with a grant of ten educational computers from the provincial government. At that time, the computer room was originally geared to young people from the community. As the program began to grow, participants began to include women on social assistance and unemployed community members who wanted the opportunity to upgrade their skills for re-entry into the workforce. 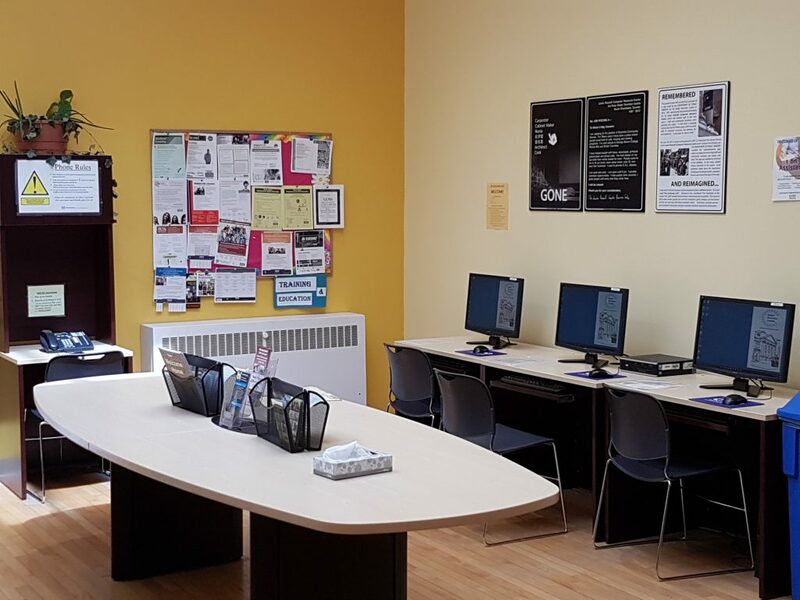 In 2003, the Computer Resource Centre became an Employment Ontario funded space tasked with the goal of helping our community achieve their employment goals. 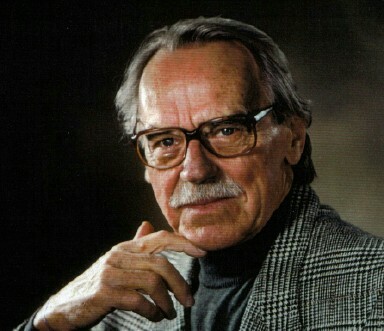 Following his death, the space was named the Lewis Pearsall Computer Resource Centre. In 2012, when Employment Ontario funding ended, the centre was closed. Community members asked that a space be created that could provide computer access in a self-help atmosphere, where they could get support if necessary. They wanted a space to share information and knowledge, to network and connect. The Exchange Loft was created to meet that need. In 2017, the Ralph Thornton Community Centre Board of Management voted to rename the Exchange Loft as the Lewis Pearsall Exchange Loft, in recognition of the history of the space and to commemorate the contribution and achievements of Lewis Pearsall. The Exchange Loft also provides volunteer opportunities for community members who are looking to share their expertise, gain new skills or add to their resume. Visit HERE to learn more. Learn more about how to donate to the Ralph Thornton Community Centre and receive an official tax receipt.